i know so many people despise personality tools. they hate how they put us in boxes and label us and limit us. i get that, but i think they can be really helpful tools to better understand ourselves, too. a few years ago i intersected with the enneagram, which in some christian circles is considered somehow taboo because of its jungian roots, but i can honestly say that out of all of the personality tests i have ever taken it has been the most helpful–and the most annoying. if you haven’t taken it before, there’s a free test available on the enneagram website. the free one might not be the most accurate but it’s a good start. i’m not saying it’s the end-all and the be-all, but in terms of spiritual formation and personal transformation, the ennegram can be an amazing tool. here’s why: it somehow nails the potentially destructive, dark parts of us in a way that cuts right down to the truth. there’s no skipping around how it “reads our mail” and busts us on the ways we try to cope with pain and relationship with others and the world. this is exactly why i think it’s such an incredible spiritual formation tool. it’s amazing how much resistance exists in the church to healing & self-awareness & honesty. honestly, i think we’re scared of it and would much rather stay on the surface than dig into the depths of our heart together. but God’s pretty clear that our hearts really matter–clean cups on the outside is not the point. here’s why: we love our neighbors as we love ourselves. and there’s an awful lot of us running around in the church who are truly disconnected from ourselves. we are fragmented, insecure, and do not feel loved, secure, valued, worthy for all kinds of reasons. and a lot of us have been taught that the best solution for healing was another bible study or to go get fixed by ourselves with a christian counselor or buck up and serve. i am not saying bible studies aren’t so important or that counseling isn’t incredibly valuable or that serving isn’t something we need to do freely. but i do think that when we separate out our personal work from spiritual formation in community, we miss out on so much. a lot of you already know a ton about the enneagram. for those of you who don’t, i wanted to share it for this formation friday as a possible tool to consider for ongoing spiritual formation. it’s also fresh on my mind because every day i get these little “enneathought” emails that continually piss me off because they are so annoyingly true and remind me of how hard it is to become a healthier person over the long haul of our lives. healing & transformation is kingdom work, and it doesn’t just drop out of the sky. we have to participate. and it usually hurts. but it’s a good hurt (why does that always make me think of john cougar mellencamp?). the enneagram isn’t meant to shame us or to highlight all of our imperfections and weaknesses and huge character defects so we’re left flayed open on the table. rather, it’s to help us better integrate these darker parts of ourselves and become more honest about it. what’s in the dark can never be healed, but as it’s brought into the light, transformation can happen. and at the same time, it reminds me of “what could be” in terms of greater health. i look at it this way: as i am becoming formed into a whole person instead of a fragmented one, i am also being more transformed into God’s image. that’s always been the idea–that God’s spirit would be forming us into our truest selves. this transformation can’t happen when we don’t acknowledge important truths about what’s in our dark. our weaknesses, our motivations, our insecurities, our crazy-brains. and this transformation can’t happen when we don’t acknowledge important truths about our light. our unique awesomeness, our gifts, our strengths. also, transformation is always centered on relationship with each other. relationships are the places where we sort out all kinds of stuff that needs sorting. it’s where we stumble & bumble & start & stop & learn & love & fail & succeed & practice & try & learn & learn & learn & learn some more about ourselves, about others, about God. this summer my amazing friend & life coach/therapist phyllis mathis did a 2 week enneagram workshop for our community. we had a huge turnout of people who truly wanted to engage with it; we learned so much about ourselves and each other in the process. it’s laid the groundwork for so many other conversations about life together in community. for our workshop, i created a brief summary chart below that breaks down all of the 9 enneagram types along with some of the different characteristics of each. the enneagram site has far more comprehensive tools. i am a 2, a helper, with a 3-wing, which is the achiever. as i said, this chart inspires deep love-hate feelings! but i have found this summary super helpful, not only just for my own type but also for better understanding my family members, teammates, friends in community. it has opened me up to so much more grace for myself and for others, too, and to really see the strengths & light in each and also acknowledge the dark. for this formation friday, consider what’s convicting, challenging, hopeful, helpful from what you read. yep, i love the enneagram, i hate the enneagram. I’m the dreaded 8! I remember when I was first learning about the enneagram (10 years ago I guess) and listened to Richard Rohr’s series on it. I kept saying things like “oh I’m so a 2, I love helping people!” “I’m such a 7, I have such a zest for life!” Then BAM – he got to 8 and I just knew. I resisted it, tried to rationalize it away, but finally by accepting and embracing my 8-ness and moving in it, I at least understand the motivations and rationale for why I react how I do. Since becoming a Christian, I like being an 8 a little more. I am reminded that I’m a child of God who is blessed and protected. It helps me let things go (well, sometimes anyway) and keeps me a bit more grounded. Thanks, too for sharing the charts. They are awesome! Dear Kathy, I just discovered you not long ago, when running a search on gender inequality, as I work with battered women and inmates in Mexico. I love what you write. Thank you! I am an 8, not a surprise…ha! Your charts actually brought tears to my eyes, getting me in touch with my own hurt, and recognizing some basic hurts I come across all the time with the dear women I work with. They will be such tools to help them get in touch with themselves and progress. Thank you! God bless you!!! thanks isabelle. so great to hear from you here and i really appreciate you sharing! peace to you. Well, it takes one to know one, I guess. I am also a two, with a strong three wing. Love/hate is exactly right! I just dd the short test which showed i am probably a 2, 6 or 8. I can identify with sometimes not looking after my own needs (helper) but disagree with something else about not being vulnerable which I thing was an 8 triat. What I have done in recent months is learnt to be less vulnrable and more guarded in order to meet my own needs! I think you make a good point abot bible studies etc and not getting down to real issues in churches. It’s as if people are afraid, or there is a coporate mentaility that truns people into the “Borg” to use a metaphor. But I don’t this this kind of thing is unique to churches. So stuff is kept in the dark as you say. Until that is, somoene breaks down or there is some other crisis and something has to be done about it where existing approaches no longer work. It seems to me that often it’s when people are on holiday or in times of illness that relfection happens and deeper stuff bubbles up. This transformative thing is something that is central to the work I am doing on my masters dissertation. I’m looking at humour in Jesus’ minsty and excited about the potential of it’s use for good. I have heard it said that a lot of problems can be solved with a good laugh and a good night’s sleep! What I do find challenging in coming to the end of my dissertation is to think where does that lead. I’m also continuously challlenged by your blog postings Kathy. I hear what you say about leaders. And being white, male, educated, soon to be with a masters in biblical interpretation i realise that in coparison to many, I am in a priveledged position in many ways. The other side of this of course is that this comes with the burden of heavy responsibility. I don’t know where all of this will lead. But I am keepining in mind what we both have talked about real power, what I know of perfect love and the beauty and humility I have expereinced and ame expereincing more regularly of little glimpses of heaven with connection with such things. If in some small way I can do my little bit tp grow in that, shinke my little light, and be beside others so that the might expereince similar, I can’t imagine anythign much better than that in whatever form it may take :). I’m a 5… then a 4 or a 1. An Investigator… I wasn’t sure at first, reserving my feelings until I had dug deeper. Then I read that 5’s reserve their feelings until they dig deeper. Thanks so much for sharing those PDFs! What a great resource! so many 2’s in ministry, ha ha. I am a 7 and I love the enneagram! 🙂 I have studied various personality tests and I think this one gives a fuller picture. I like how it can help us discover how we approach so many different aspects of life, even how we pray. 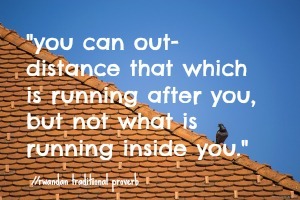 that’s the part i really like about the enneagram, too, the “moving toward health” part. so helpful. what are you on the myers-briggs? Interesting, I am left – handed too for writing. But then for some reasin if I were to throw a ball I do it with my right hand. My mother was similar to you – started of left handed but made to school to wirte with her right hand. I am borederline P/J but the rest has always been ENF. Doo you ever find yourself being seen as an oddball or perhps an irritation to the status quo with the “N”? Hahaha…Adam! I blog as “Abisomeone” — if you are old enough to have seen Young Frankenstein, you know that was Igor trying to remember the label on the “abnormal” brain he stole … so, yeah, I have, for many reasons, been an “edge dweller” change agent type — pushing against the status quo in favor of growth toward maturity. Be blessed, brother…. Hehe. Thats funny – so you identify with Igor ;). I’ve had some interesting reactions recently – one or two folks saying they are afraid of me I guess with being “different”. I used to feel bad about that – my response now? To say with a smile and a twinkle in my eye “oh good that, was what I was aiming for. A little bit of fear and respect is a good thing 😉 “. Having been the ENTJ “Fieldmarshall”, I have lived with the “you intimidate me” issue as well. My father, an ESTJ, with a deep bass voice, was very intimidating — he was once introduced to a Christian convention planning committee as “a cross between St. Peter and Attila the Hun.” I guess I come by it honestly, eh? I think the change has come for me as I got older and more experienced and felt less like I had something to prove (women pastors so often feel they have to be twice as good as their male co-workers). The interesting thing was that men and women were pretty much equally intimidated. I think that people who speak the truth are intimidating. Actually, people are often afraid of change — and the most important lesson I learned there is that we need to lead people according to their readiness to follow. This is what God does for us. Sometimes we need information. Other times we need courage. Then there are the times we need the stimulation of working together. It is much rarer that we need to be delegated a task and left on our own to accomplish it. The challenge is in adapting our leadership style to the learning readiness. This is the core of the management theory known as Situational Leadership — where I learned that God is the ultimate situational leader. The key has been learning to speak the truth in love — and that only comes from a place of peace and humility that listens to the other with compassion and grace — for their best interest. It is about learning to value relationship more than “being right” — and this has been a hard lesson for this “fieldmarshall” to learn! Peace to you — and may the love of Jesus fill your interactions with grace and mercy … even as you lead those around you toward growing maturity. That’s interesting wiht what you say about your father and people feeling intimidated by him. And then what you say about women pastors feeling as if they to be twice as good as their male colleagues, but there being equlity between genders in how intimidated people are. And with what you have said about having learnt about leading according to other’s readiness to follow. Of course you are right about people often being afraid of change and the need to speak truth in love. What I have learnt is that every living being has a threat response that is ingrained form survival. So as humans, we often make decision or have perceptions based on fear a survival instinct. Where this would have helped us in prehistoric times with protection form the sabre toothed tiger, its not always the best for us now. And when we are in a state of fear, we can’t expereince love, connectedness, beauty etc. What I have been picking up from conversations here is about perfect love and real power. It’s there acessible in the uinverse, all the time. And it seems to me that it’s a case of weeding out concerns, fears in order to expereince it, which takes compassion, discipline, faith and courage. Again, I hear what you say about women and feeling as though they have to work twice as hard. Is that reality? What would it look like to relax, be in touch with real power and perfect love in such a situation. I perceive that there are double standards for both genders. If a man is mistreated by a woman, many men think they can’t say or do something about it because to do so means being percived as it being the opposite due to the belief that it is men who are in positions of power and privelidge. It’s not always the case that this is true. I’ve learnt that having confidence in this real power means that we don’t have to be afriad and by faith we can trust in God’s provision and enjoy beauty and love in the world. Learning to be increasingly self-aware is part of growing up. Lots of people don’t want to grow up … or don’t know how to grow up … or don’t really know what maturity looks like. Our culture (whether social or political or religious) doesn’t give us a whole lot of help here, eh? The whole fight-flight-freeze thing is really important, Adam. I have spent the past four years learning about relaxing into the love of God so that the power of Jesus can be unleashed in and through me. It is not a quick journey, that. I found with my father, and other powerful individuals, that sometimes they are very open to push-back…they just don’t get much of it. When so much of what the church has taught for centuries paints a picture of God that is NOT loving by nature, fear and shame becomes the default tools. And they are very poor tools for getting people to relax. Only when I am confident in God’s unconditional love and acceptance of me as I am in my journey can I walk in faith and not fear. The challenge for all of us is to be aware of how we are being perceived by one another — and be open to the humble task of clarification of what we say and what we hear so that we truly communicate with each other. Those who have been cowed by fear or abused by those who have exerted power over them do not trust easily. It takes time for that trust to be earned. Trusting God is harder when those who have spoken “in God’s name” have misrepresented God…Lord, have mercy! Learning that it is God’s perception of us that is the only fully true perception has been an important starting point — after the years of deconstruction and rubble-removal — laying the True foundation for life as adopted daughter and joint-heir with Jesus in Father’s family in the Spirit. This is a lot of work … listening, loving, speaking, leaning into God’s love for us … and God’s love for others … but mostly realizing that the law of scarcity does not apply to the love of God the Father, Son and Holy Spirit for their entire creation. We have to walk the path of our journey together … and most things are much easier said than done! Well you said before that people heave to be ready to follow before they can be led. The other side of the coin is that leaders have followers, otherwise they are just going for a walk. As for culture not giving us a lot of help in maturing – it’s a difficult one to generalise. I’m not sure you can be confident in making such an assertion. Surely it is a comination of things – culture or being in an environment that is conducive to such being on e of them. Peronsal willingness being another, making choices that are conducive to maturing, being willing to endure, keeping going when things get painful etc. Again with the knoweldge that perfect power being available and God sees to our needs, I see the only thing stopping us from maturing is our own choices. And then there is littel excuse for not taking part in the maturing process. That’s interesting wiht what you say about your father and push back. My guess would be that folks through fear migth not what to do so and in the light of that he woud carry on with the belief that things are fine whether they are or not. I think any good leader is someone who is open to the ideas of others and in principle doesn’t find them threatening. As for fear and shame. Well again, fear or a threat response is oure natural survival instinct. And shme? Well if we do something wrong, shouldn’t we feel shame? I would propose seeing fear and shame as neutral things as with anger. I’m more interested in how we manage such things. I don’t think an abscense of any of these things would be good. Brene Brown may say something different. But without fear, what need would there be for the perfectl ove that casts out fear? without shame, what would there be to contrast with honour and how would we know whar honour is? Without anger, how would we know something is not OK and be equipped to do somethign about it? I suggest seeing these with an accepting and compassionate heart and sound mind, considering what a heavely love and power in such things might look like that we be enabled to life in the fullest and be a light to others for similar. Of course you are right about scarcity meaning little in the light of God”s providence. Isn’t it great that we can take a load off, trust in that and enjoy the beauty that is in the world and each other? :). Yes…in the end it is all about the choices we make. But there are so many choices that we made before we really knew we were making choices — many choices we made as small children are still the maps we use as adults. Soul work is a holy and precious thing, if we allow the Spirit freedom to prune and weed and feed and water and mulch…. I agree with Chris Argyris that institutions — whether educational, religious, political, social, military, or relational — TEND to foster immaturity … because they TEND to value order more than freedom. Freedom is frequently chaotic, but there is much more creativity and ingenuity — and community — when people have more freedom to make their own choices and explore their questions in the midst of their messy lives. Once we settle into the security of institutional order, where others tell us what to do (and sometimes think), freedom becomes more and more scarce. I do agree with Brene Brown that there is a big difference between shame and guilt. Shame speaks to who we are, while guilt speaks to what we do. Dr. C. Baxter Kruger speaks of the pervasiveness of the many ways in which we hear “I am not…” This is the language of shame. What we ARE is precious in God’s sight and fully redeemed by the work of Jesus and included in the very life of God in Jesus by the Spirit. Processing guilt — the realization that we have done something wrong — is the work of the Spirit, who heals and restores. When humans intrude with condemnation and judgment and punishment (and here I mean relationally, not legally), we do damage. Yes, emotions are morally neutral internal feedback loops that give us information about what is happening around us. The challenge is learning to respond with wisdom rather than react with the fight-flight-flee instinct. Way easier said than done…and these many tools of insight into how humans tend to be can be a great tool — in the hands of the Spirit. I see the biggest problem, Adam, being that way too many people just don’t have the knowledge that they are ALREADY loved by God, received into the life of Jesus, and empowered by the Spirit to experience Their life in the journey of this life. The deed is finished … they just don’t know it. This is the task of sharing this Good News! Too often, not knowing (or believing!) the Good News leads them to believe the “I am not” lies. Those of us who have this knowledge can then have streams of Living Water flow out of our beings…and that is the essence of a life of love, joy, peace, patience, kindness, goodness, faithfulness and self-control…as the Spirit transforms our minds and hearts. Theres presumptions with defining of terms that you make. As I say I see shame as a neutral thing. And I don’t necessarily agree with your definitions of guilt and shame with the doing and who we are. Or with what you say about institutions and freedom. This kind of thing is difficult to discuss in through this medium. Of course systems, like people, are imperfect. Dopn’t you think that wiht the USA having been on shutdown, there is a suspicion of systems and institutions currently which woudl lend itsaelf to the opniond you have? Systems exist for a reason, there is security in them, on govenments institutions etc. The alternative surely is anarchy, the rule of the jungle where the strongest get their needs met and it is about survival of the fittest? When in a state of fear and flight that comes with anarchy, there is little or no room for creativity. The ironic thing I think about American culture with an emphasis on freedom, independance and power is that often people give the appearance of such but seem to me to be insecure, complicit and lacking in real power. It seems to me there are a lot of people appearing to be knowledgable but trying to figure out what to do and not living full lives. I agree with you about the problem being for many being about God;s ;love. But is it lack of knowledge that God love people as they are or lak of thinking and feeling they can be loved? Everyone carries around pain connected with being imperfect human beings and armours themself to a greater or lesser degree fomr more pain which also prevents healing fomr past pain. This happens in the sub concious and prevents love enterring in. It takes courage to take the steps conducive to healing and welcoming of God’s love. I think you are right about God’s love. I wonder to what degree what you say about knowing God’s love and to what degree expreincing God’s love is true for many. Truly, we have reached a place where the medium makes a robust discussion difficult. Just is what it is, eh? I learned Argyris’ theory over 20 years ago, and it resonated deeply with my experiences prior to that, so the current situation in the USA hasn’t brought this thought on. I’ve been in this conversation for decades…. Too many centuries of teaching from church leaders about utter depravity has resulted in many being taught out right that they are unworthy of God’s love. I like to look at it as the church having effectively inoculated many against God’s amazing love. It just can’t “infect” them — they can’t believe it. Their “depraved” spiritual “immune system” attacks it. I know that I could not experience God’s love for me in profoundly deep ways until I learned the truth about knowing God — and found that the God I “knew” was not the real deal. I have had to be reintroduced to God the Father, Son and Spirit. Actually, the Hebrew “know” is experiential! The Greek “know” is informational. Until we put away Greek influences and embrace the Hebrew origins, we will continue to have a shallow dualism. To truly “know” the love of God is to experience that love in the midst of our mess, whatever it is. The work of healing the pain and grief associated with feeling unworthy of God’s love (and so many other related things) is complicated work. It requires lots of love and grace and mercy … especially from those who call Jesus Lord and are walking out their journey with us. Yeah it is limited to converse this way. OK Calvinistic thinking about total depraviy, and I hear what you say about not knowing God until you got the real deal. I was listening to a lecture by Bishop Jack Spong last week talking about something not dissimilar and understading the crucifixion form a Jewish rather than a gentile perspective. Actually for me it is a littel different. I don’t associate difficulty wiht church teaching as the main thing for me but through personal history. The body of Christ has been important in this, but it started through other things, throught mindfullness meditation and compassion in a secular environment. Bless you, brother, as you journey with Jesus. We’re all just taking baby steps day by day, in and through the Spirit…. Sometimes we are with the baby steps, sometimes not. As Neil Aramstrong said “its one small step for man, one giant leap for mankind”. I find the best thing is when things catch me by surprise and someone else points something else out in me that I haven’t realised about myself, I reflect on it and I think oh yes – I see! And realise that something is there that I hadn’t been aware of before. What Kathy wrote above I think is poignant. “we love our neighbors as we love ourselves. We talked about love and we know that to be central. All of us are imperfect, love imperfectly and have been loved imperfectly. So we carry pain. At the same time we all have access to perfect love and real power wiht as sound mind as you rightly say thought the Spirit. I think one example of this in an American context of imperfectl love is that everone it seems to me goes arouns to a greated or lesser degree of wanting to appear knowledgeable and to control as a way of covering insecurity. We talked about Brene Brown. Im many ways I like her and she seems to have a lot of influence. But she is imperfect. Se said that she got into research in odre to control and predict. And that what she found was that peopl who have connection, beloinging, expereince love are creative etc are vulnerable. Well, CS Lewis was saying that decades ago about people who love are vulnearble. So this lead to what her therapist called a “spiritual awakening” her shating that and it going viral, and her saying her life was over. Because she found that she had to be vulnerable rather than control. What she had discovered of course is what Jesus tough about losing life in order to gain life. And so what she shows in how she comes across is times of insecutiy and crontrol, which she shares with humour and times where she is expereincing more of the senso fo connectedness, belonging, love creativity etc as she learns to move into living into what she has learnt. The last time I was visiting a friend in America, she said “Adam, you don’t know what you have got”. And it was one of those moments where I hadn’t realised something that was obvious to someon else. My response was to say “please tell me what it is” and her response to that was to say “when you talk, people listen”. So I reflected on that and I think part of it is cultural. You guys live in a hyper competitive culture. What I love about America is its pioneering spirit and sense that nayhting is possible, the sense of freedom. It does come howerver with a heavy cost of also being a culture of fear and retribution. And my expereinc of it is people wanting to be the leader whether they are givted in leading or not, at sense that someone is someonhow less for beign a follower, few listining and everyone wanting to sound knowledgeable. What I found that I had been doing was listening first (I couldn’t compete to get attention) and so when others has worn themselves out with talking and things had calmed down, I spoke and people listened. But I also had a shyness and a lack of confidence with people and in myself to recognise my communication abiblty that needed someone to point that our to me. For me what mainly had got in the way of loving myself has been with hainvg dyslexia and it being undiagnosed until a few years ago. So I was brought up being told I was lazy, careless, stupid even. And because teachers said that and my parents piced up on that, i was piushed, driven, burdende more than was healthy. As an adult I achieved much and lived the life burt didn’t get to expereince the life because of the lack of confidence with these tapes that played in my head about being lazy stuipd and careless. When i was diagnosed with dyslexia, it was as if a weight had come off my shoulders. But a few weeks later this incredible sense of injustice and extreme anger kicked in and boy was that something that was an issue! I was angry with teachers in the past, parents etc and it was as if a grenade had gone off. I imagine I must hade been a frightening guy to be around then! It’s taken a few years to wor through. And I love coming back here because I get a sense that Kathy gets it fomr having her own journey of achievement and then anger at injustice and having worked through that. Anyway, more recently I have been told that I work as hard as I can and the test that the educational psychologist did for me that showed I have dyslexia also revealed that I am in the top 1% of thepopulation for verbal reasoning and problem solving ability. So, not so lazy and stupid after all hey? ;). Oh and the careless thing – well i call that absent mindedness now. It comes form my mind being brilliant, being occupied and not having time for being involved with trivial things like remebering where my keys are ;). What i have freeing and enabling in being in tough with the perfect love, and real power in the Spirit and to not go crazy but have a sound mind is t practise meditation and compassion. I now have a better appreciation of myself so when someone gives a comliment, I can ackowledge what it is they are saying rather than say pleas tell me why you are giving me that compliment. So the loving myself, which is then freeing me to love others more than I was able to before. And that encouraged me to do what I have been doing for the last wee while which is to do a masters, shortly to finish a dissertation on Jesus’ use of humour in the gospels. Not bad for a dyslexic ;). And if i can do this wiht all i have been thorugh what hope can i offer to others who have difficulty in thier lives? OK if you have got to the end of this, thanks for reading. I pray tht this encourages you in whatever difficulties you have in your life and challenges you to connect with perfect love and real power in the Spirit of sound mind. Peace to you on your journey, Adam. Clearly you have also experienced incredible spiritual and emotional pain. Thank you for sharing the process through which you are being healed. God is merciful, indeed. We, each and every one of us, are on a unique journey. No one has walked my road but me. No one but Father, Son and Spirit will fully understand me and my life. There are, however, bits and pieces where my experience echoes that of another. This helps me with empathic connection. The more I get in touch with that, all the while remembering that I am fully known and loved by God, the more I am able to relax and let go of competition. I do, however, believe that it’s always baby steps with the Spirit. Not trying to be argumentative here, Adam. Maybe we don’t always see that from our human perspective — we don’t know what we don’t know — but we see through a glass darkly still, eh? My teaching style is a form of stand up comedy, so I get that. I didn’t want to “do” that, however, because it is a brutal field. Talk about competition…. Well the thing I see about pain it that we all get to expereince it to a greter or lesser degree. It’s just that God counts some of us as worthy of expereincing more suffering than others that goes along with a higher calling. How else are we to stay humble? You mentioned that noone except FSHS will fully understand you and your life – but there are echoes you have with others which allow for empathetic connection for you – which then enable you to relax and not compete. I get it. I call this kind of thing gettign in touch with perfect love and power – a confidence that comes with that and also a humility and vulnerability. But like Brene Brown says – it’s not to have with anyone and it honours someone to be like that with them. I hear that you are not wanting to argu with the baby steps and the Spirit. What I was wanting you to appreciate with the Armstong comment was that what might appear to be baby steps to you could be giant leaps. we see things dimly as throuhg a darkened glass as the aposlte Paul said. Like I say others hve made me aware of greatness in me that God has put in there. I pray that you would expereince simlar encouragement from others when you exhibit great qulities that you are not aware of in yourself . Maybe you will be able to see these “baby steps” as “giant leaps” someday – be blessed. Yeah it can be competitive in the stand up circuit. But perfect powe and love ….. *wink*. I have chosen not to tech in churches althoguht I have been offered opportunities to in the past because what ha sbecome clear is that the churches I have been haven’t been ready for me yet *wink*. Fr me stand up is a bit of fun – a chnce to have a bit of a rant on stage and make a bit of fun out of myself and light of difficulties that we all face. I find it cathartic and I find that others are supportive of what I do. there are one or two friends that com along when ever I am performing for a little moral support :). Sometimes – or altenatively that there ends up being a punch and judy show as both parties get further entrenched in their beliefs and “the other” being wrong. We humans are funny creatures;). Best.charts.ever. Hi, fellow 2 with a 3 wing. Gah, the reading my mail thing really can cut out all the crap. I re-subscribed to that daily email, but haven’t gotten them yet for whatever reason. I figure you will send on the really, really good ones, haha. Yes, for sure it is love/hate for me, and more than several times have I been aware of how freaking much the type thing intersects with healing and recovery. It has been helpful, too, to see that everyone’s deepest need isn’t necessarily mine. 8 other ways of seeing the world, whaaaa? I *have* noticed though, that the more aware I am of my “lost childhood message”, the less desperate my behavior is to just.be.loved. Again, though, GAH. yeah, those charts are totally busing! Thanks for sharing this! I’ve actually always loved personality tests. Looking forward to seeing what this one might reveal. Do you have a link to the site that sends you daily personality related emails? If these kinds of tests really work, would that not support the theory that we are all only a computer program of some sort and our existence is imaginary? If I am this, then I must be this and this and this because that’s the way we’re “programmed”? Happily, even though I find these tests curious, they really don’t work with me. Because I’m “this” does not predict that I am “that” or “that”. Apparently I’m a glitch in the software, and that works for me. that is so true about you! I am all over the map on the Enneagram, and dead-center on the dichotomous either/or Myers-Briggs. I’m not an either/or left/right, introvert/extravert type. I’m a both-and, ambidextrous, ambivert who never really quite fits into the tidy little boxes of these assessments. The only assessment that has ever worked for me was the Strengths-Finder. My top strengths in that assessment are empathy, adaptability, and connectedness. I can’t wriggle into a Myers-Briggs INFP or an ESTJ. I can’t squeeze into an Enneagram 2/4/7/8/9 and yet am, at times, all of them. But I am an (apparently rare) male empath. I can and do feel your pain and fall deeply, effortlessly, into prayer for you in it. I also feel your joy. I love to adapt to new challenges. Every day. A new creation. Adaptable. Malleable. To be formed and reformed, as clay, rejoicing whenever I feel a little more fully human. And I feel that we are all deeply interconnected. What I do, and I don’t do, can affect us all, and all of Creation. And when the Spirit moves me in the same direction and at the same time as you, I am become overwhelmed and giddy with joy. Strengths-Finders supports who I am, and who I want to become. It helps me realize that it’s OK (and actually impossible) to be outstanding in all 34 themes. It’s OK that I’m not strong in themes as activator, or maximizer, or command, or competition. I need not feel guilty about that. My horse has three really off-the-charts strengths, and I will ride her as hard as I can … and love every moment of it. thank, jim. i love the strengthsfinder, too. my top is includer 🙂 i love your last line! Includer. Of course! I’ll bet Woo is right up near the top for you as well. This is one of the best rationales I’ve read on why Christians should study the Enneagram! My wife and I were introduced to the Enneagram over ten years ago in marriage counseling, and it helped save our marriage. It’s helped us in all areas of our lives; with our grown children, grandchildren, friends, family, etc. BTW, I’m a 4 with a 3 wing and my wife is a 1 with a 2 wing. Thanks for letting other Christians know what a powerful tool the Enneagram is!